A year ago I publicly stated, "The PBX is dead, long live the PBX", so what's happened in the intervening twelve months? On the face of it, very little, apart from the fact that, as a company supplying only business phone systems, phones and associated applications, we've witnessed a very healthy 30% increase in sales over the period. But dig a little deeper and you'll find that there's been some fundamental shifts in what we now see being purchased and deployed. We feel that we're ideally placed to comment on trends in the PBX market in this country. We're a British company and the UK is our primary territory. We supply, soft, hard and virtual PBXs - all running exactly the same Maximiser OS - for deployment in on-premise, cloud, hosted and hybrid solutions. Indeed, we introduced our range of soft and virtual PBXs to give our customers' - not to mention our channel partners - greater choice and flexibility. Interestingly, this has lead to interest from, and signing of, a higher percentage of "non-traditional" resellers over the past twelve months. Sales of our "hard" IP PBXs were slightly up over the past year, but it's the soft/virtual PBXs that have enjoyed a significant rise in demand. At the outset our range of S8000 soft/virtual PBXs found favour as competitively priced Business Continuity/Disaster Recovery solutions, however the last 12 months have seen them move centre stage, providing the foundation of many of our largest, multi-site systems, irrespective of where they may be located; on the customer's premises, hosted or in the cloud. The catalyst for this growth can be traced back to the availability of our Flexible Edge Solutions (FES) that, when deployed across multiple sites, in conjunction with a central soft/virtual PBX - wherever it may be - delivers a hybrid solution. Remote, fully survivable gateways, smaller, fully networking soft, hard and virtual PBXs, legacy connectivity for analogue phones, ISDN Trunks and existing PBXs, homeworking and full mobility IP Softphone solutions for SmartPhone and Tablets, PCs and Macs; they're all part of the FES portfolio and can be mixed and matched as required to provide a single seamless solution where everyone has access to the same facilities, features and benefits - wherever they might be. The final piece of the jigsaw, often overlooked, is the finance aspect. As well as introducing our own three and five year finance schemes - backed by SpliceCom Financial Services - we've also launched a Flexible Licence Programme (FLP). 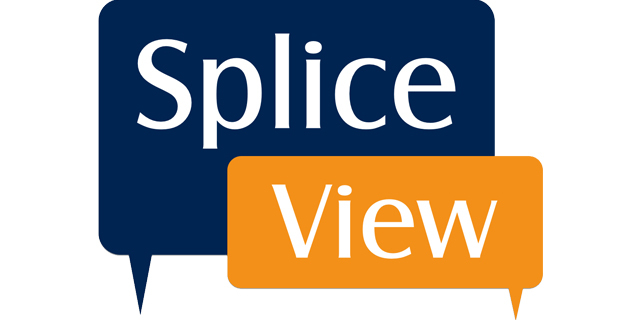 This allows a soft/virtual PBX based SpliceCom system - on premise, hosted or in the cloud - to be provisioned and paid for in the same manner as traditional hosted systems. It's also applicable to licencing associated with our hard PBX platforms. FLP has the added benefit of customer's being able to increase and/or decrease system, user and application licences as seasonal or business requirements dictate. To summarise, we've found that by increasing flexibility and choice in the past twelve months, across all aspects of our systems - in the core, at the edge, where and how they're deployed and how they're purchased - for our channel partners and their customers' alike, has resulted in 30% year-on-year growth. Expect more of the same during 2014.